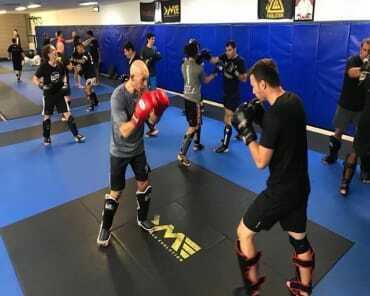 KME is the brain child of two fitness and self-defence enthusiasts – Adam Mrocki and Andy Sapir – Over their collective decades of training and teaching, the guys have been exposed to a number of martial arts and self defense systems – but the primary focus of their enthusiasm is Krav Maga and Brazilian Jiu Jitsu (see below). The classes and training offered at their Moorabbin headquarters also go far beyond that, offering great insight into Reality Based training systems and Prey/ Predator mindset. 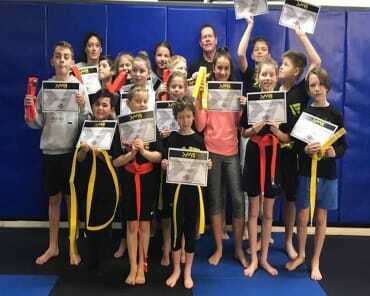 KME also offer fitness based classes under their own specially titled “Combat Fit” and classes for kids “Kids Krav” and "Gracie Kids". 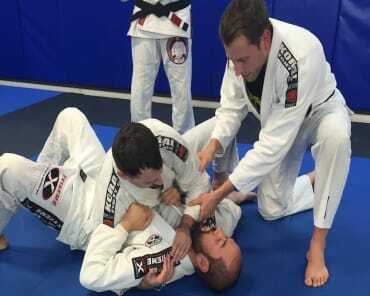 We want to take Krav Maga and Gracie Jiu-Jitsu Australia wide. KME was created with the community in mind. The gym on Bignell Road has been fitted out using state of the art Agglorex mats (imported from Belgium) and high quality punching bags, boxing gloves, shields, pads and mitts by RevGear (direct from the USA). Crucially, the space has been converted to create a welcoming atmosphere for novices and enthusiasts alike – a gym dedicated to fun, fitness and all round health. Highly trained staff are ready and prepared to create a one stop training centre that can cater to advanced emergency personnel and martial arts purists, as well as the most humble beginner off the street, looking to improve his or her health and general well being. Krav Maga is a close quarters combat system which was specifically designed for use by the Israeli military, special forces and counter terrorist police units – most famously by Mossad and Shin Bet. The guiding principle for behind the Israeli Defence Force training ( IDF training ) program was that it had to be easy to learn in a short period of time, and easy to remember afterwards. This was achieved by utilizing our own instinctive human movements, and incorporating our natural threat responses. Krav Maga Evolution is proud to be affiliated with two prestigious providers of training methods, the Krav Maga Alliance system developed by John Whitman in the United States, and the name that is synonymous with Brazilian Jiu Jitsu, the legendary Rickson Gracie's Global Federation. We are thrilled to be able to offer you access to their methodologies, philosophies and expertise through our own custom-built classes and training environment.